Home → News → What is Biofuel and Where does Biofuel come from? What is Biofuel and Where does Biofuel come from? Biofuel is becoming a term that more and more people are familiar with. Those of us who are conscious of our carbon footprint will know that it produces fewer CO2 emissions than regular fuel. Where does Biofuel come from? In general, Biofuel is any type of fuel that has been made from any carbon source that is easy to replace. Plants are probably the most well-known example of this fuel. Grow plants – A number of plants naturally produce oil. These can be processed to form biodiesel or they can be heated directly, which will lower the viscosity of the oil and will then be suitable to be used in some diesel engines. Grow sugar crops or starch – Through yeast fermentation crops such as maize, corn, sugar beet and sugar cane can be converted into ethanol. By-products – Wood-gas, ethanol and methanol (all types of biofuel) can be made from wood chippings and other by-products. Are there Different Kinds of Biofuel? The UK has access to a number of different biofuels. However, the most common is a fuel called B7, which is actually 93% diesel and upto 7% biofuel. Up to 100% biofuel is available; however this is mainly exclusive to warmer regions as a diesel engine with 100% biofuel won’t start in temperatures below 15°C. 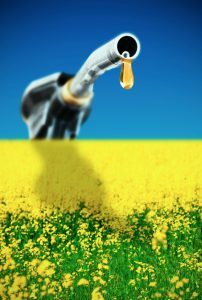 Other blends of biofuel include; B15, B20, B30 and B50 – each number represents the percentage of biofuel in the fuel. One of the advantages of biofuel is that it can be mixed with normal diesel in certain engines, so if you have some standard diesel in your tank, you can top it up with biofuel. Many forecourts across the country now stock biofuel, including Crown Oil.